Beetroot (Beta vulgaris) is a superfood vegetable that is naturally high in nitrates, silicic acids, flavonoids, soluble fibre, antioxidants (anthocyanadins) and bioavailable vitamins and minerals. Betacyanin, the pigment that gives beetroot its colour, is also a powerful antioxidant. It is virtually fat free, low in calories and has an extremely low GL (Glycaemic Load) of 2.9, which means that it is converted into sugars very slowly and therefore helps to keep blood sugar levels stable. Beetroot is naturally rich in alkaline elements, making it an ideal addition to cleanse and detox programmes- supporting the spleen, kidneys, liver and gallbladder. 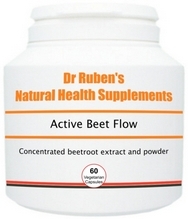 Active Beetroot capsules can be used as a gentle food form and natural iron and mineral supplement. 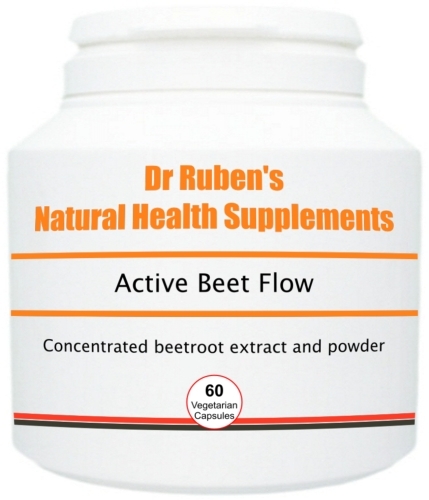 The beetroot extract also provides a natural source of vitamin A, vitamin B6, vitamin C, vitamin E, potassium, magnesium, selenium, silica and folic acid (important for normal tissue growth). It is very popular with athletes during times of extreme training, when high energy levels and speedy recovery is required. Take 1 capsule, 1 - 3 times per day or as advised by your health practitioner.